Select Big Twin manuals from the first option menu. 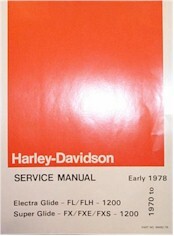 Select Sportster manuals from the second option menu. These manuals are for domestic US civilian models only.